Pat Savage-Williams speaks at meeting. The District 202 board unanimously voted to withdraw a controversial resolution. Evanston Township High School/District 202 school board members unanimously voted to withdraw an “unnecessary” resolution at its Tuesday meeting that restricted them from sharing internal communications with the public. The controversial resolution, which board members passed 5-2 on Dec. 11, classified all written and email communication between board members and between members and the board president or superintendent as confidential. Board members had to seek approval from the author of the email or document before it could be shared with the public. Only under “extraordinary circumstances” could the communications be shared with a specified third party. Savage-Williams defined extraordinary circumstances as a situation where “someone’s life is endangered” or “someone is extremely unstable,” but said the board has not dealt with anything like that. “I’m going to remain committed to transparency, and I don’t think there is a conflict between transparency and maintaining trust with your board colleagues,” Baum said. Baum said he brought the resolution to the attention of the American Civil Liberties Union of Illinois, who then thsxpressed interest in taking the resolution on as a legal challenge. The ACLU then sent an email to the school board on Tuesday afternoon, a copy of which was obtained by The Daily, urging board members to revoke or amend the confidentiality policy. Savage-Williams said at the meeting the board’s withdrawal was unrelated to the email from ACLU. The resolution was criticized by board members and Evanston residents for infringing upon their First Amendment right to free speech and violating the Illinois Freedom of Information Act. 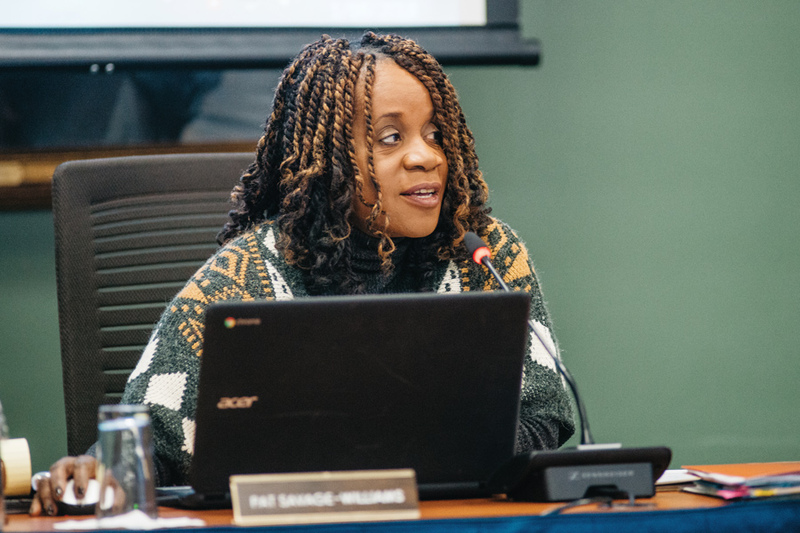 Savage-Williams said during the meeting the purpose of the resolution was “simply for the board to recognize its obligations pursuant to each board member’s oath of office.” She added that the language in the resolution was the same as in the board’s policies, oath of office and code of conduct. Board members began drafting the confidentiality resolution in November after Baum shared a memo written to the board by Superintendent Eric Witherspoon. The memo responded to an incident where ETHS confiscated a September issue of the student newspaper that contained stories about marijuana. Some board members felt Baum violated the code of conduct by forwarding the emails through his personal account. Patricia Maunsell, who motioned for the withdrawal, said the board needs to move on and focus on the students. “I do encourage us all to go back to those commitments and make sure we live up to them on behalf of our students,” she said.